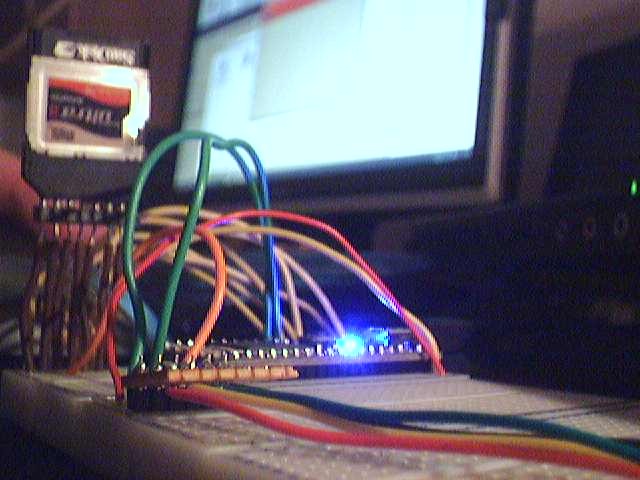 After spending some time to write mbed drivers for the C328 camera for mbed and then taking a break, it looks like someone swooped in and did a cracking job – http://mbed.org/users/shintamainjp/notebook/CameraC328/. The test program takes uncompressed snapshot (80x60px), uncompressed preview (80x60px), JPEG snapshot and JPEG preview images and stores them on the mbed filesystem which allows you to grab them via USB. A huge issue it looks like I’m going to face is that it takes on average about 6.9 seconds (or a incredible 0.145fps) to take a 80x60px uncompressed image and around 11.6 seconds (0.08621fps) for a 640x480px JPEG image, which I think may be more down to the camera than the mbed or software. If that is the case, there may be a pretty high chance I’m going to have to switch my camera. I’ll have to explore the code a little more tomorrow to see how this work (in the hours when it’s not so late/early) but this should be perfect since it should give me more time for vision processing..